The present paper introduces the concept of Gastrobots, a class of intelligent machines that derive their operational power by exploiting the digestion of real food. Robots of this type could potentially be made self sufficient with just an input of natural food, water and air, and as such would be ideal for a host of applications that demand “living off the land” during fully autonomous “start and forget” missions. One possible method of powering such machines is through the use of a Microbial Fuel Cell (MFC), which can directly convert various food substrates into electricity. MFCs offer specific advantages over other renewable energy conversion methods, such as photovoltaic panels, principally in terms of compact configuration and 24 hour operation. Incorporating such a MFC into a robot is not a trivial matter, and many challenges have to be addressed and overcome. Previous work has concentrated on improving MFC efficiency, and has not emphasized long term fully autonomous operation, an essential requirement for adoption in mobile robots. 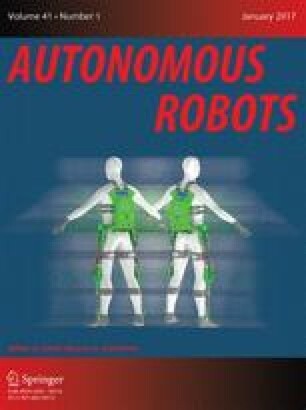 The present paper attempts to discuss the applicability of current MFC technology to mobile robot operation, and enumerates many of the existing shortcomings, while suggesting possible ways ahead.